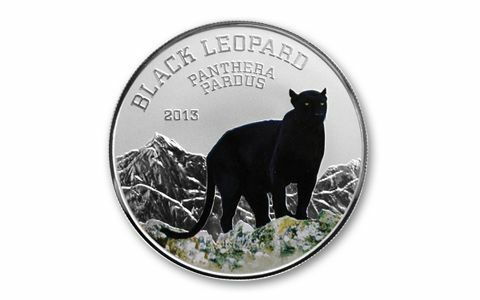 The African black leopard, also known as the black panther, rules the night in Africa. 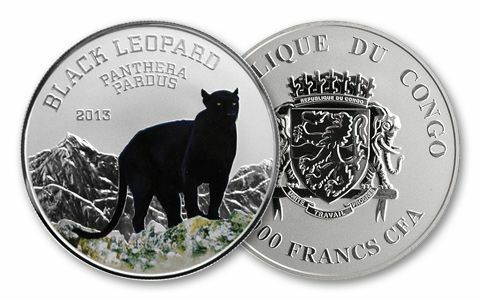 This 2013 Silver Black Leopard Proof shows the magnificent cat in color poised on a mountain peak. The cats actually have spots like other leopards, but they're hard to see. 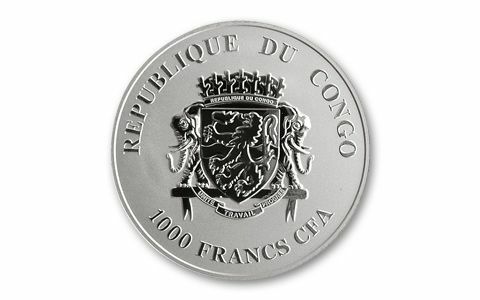 But it's not hard to see why collectors are snapping up this 20-gram sterling silver proof: only 999 were struck, a miniscule number for a legal-tender Silver-Dollar-size coin. Order yours now before they all disappear into the dark night of disappointment!